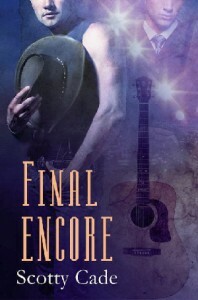 My first book — Final Encore — is being released today. I hope you will take a moment to read the excerpt below — and if you like what you read, just click on the cover picture to learn more. Billy’s drive from New Orleans to Nashville was long and uneventful. The uninterrupted hours of interstate, with country radio stations fading in and out, gave him a great deal of time to plan a strategy, at least a short term strategy. The first day he arrived he would find a hotel, look for a day job to help with expenses, and then look for a more suitable place to live. As the first few days passed, he missed his family terribly, but was nonetheless energized with the infinite possibilities of the unknown. Nashville was his new home and for as long as it would have him, he was happy to be there. The first week, as planned he searched the want ads for a position that would sustain him financially. He answered several ads and within a few days, had a great lead. The position was for a foreman at a large horse farm just outside of town called the Lazy H Ranch. He set up an appointment to meet the owner at ten o’clock the next morning. It wasn’t his dream job, of course, but it would pay the bills until he found something in the music business. When Billy turned in under the large iron arch etched with “The Lazy H Ranch,” he looked down at his watch to confirm he was right on time, nine forty-five. Billy drove down the dust covered road and after a half mile or so, he saw two large barns on either side of the drive with what looked like an old farm house that he assumed was used for command central. When he got out of his truck, he was looked over, more than greeted, by a rough and unfriendly looking sort. The man was short and stocky, carrying about thirty extra pounds on his frame. His skin was scarred from years of acne and his teeth were stained from what appeared to be chewing tobacco, as indicated by the Styrofoam cup he spit into. Hoping this wasn’t the owner, Billy introduced himself and learned the guy was a ranch hand named Buck Stevens. Buck directed him to wait near the east barn and someone would be with him shortly. Billy waited around for about forty-five minutes and no one approached him. He was about to go back and remind Buck that he was still waiting when he saw a tall, ruggedly handsome man walking in his direction. The man, who reminded him of an older version of the Marlboro Man from the old cigarette commercials, walked up and offered his hand. “Yes sir,” Billy said, and the two men headed to the stables. On the short walk, Billy filled Jules in on his experience with horses and why he was in Nashville. Jules, of course, had heard the same story many times before, but listened intently and offered words of encouragement. They soon reached the stall housing the expectant mother. The mare was lying on her side and as they watched her tense up every few minutes, it was apparent she still had some time before she’d deliver. Billy thought she looked a bit distressed, but held his tongue and tried to get a better gauge on the situation. As they examined the mare more closely, Jules continued to tell Billy about the ranch operations and the job he had available. After the examination, Billy was sure something was wrong. More convinced now, he mentioned it to Jules. “Good call,” the ranch owner said. “I was just about to tell you I’m certain the foal is breached.” Billy spent the next several hours helping Jules try to get the foal in the right position for a natural birth. Eventually they succeed and by late afternoon the little filly was born healthy. Once the danger had passed, the two men, impressed with each other’s abilities, cleaned up and headed back to the tack room to put the supplies away. As they entered the tack room, Buck was filling up the feed barrels and looked up and eyed Billy. Before Billy could speak, Buck turned around with a disgruntled look on his face and stormed out of the tack room, brushing Billy’s shoulder in the process. “If I take the job, is he going to be a problem for me?” Billy asked. “Yes sir,” Billy replied and the two men shook hands. Billy said “Sure,” and within ten minutes they were on their way downtown. When Jules’s truck pulled up to Jean’s Magnolia Saloon, they got out and headed inside. As Jules opened the door to the lounge, Billy’s eyes struggled to adjust to the dark lighting, he glanced around. It was much larger than it looked from the street, he guessed about the size of a small supermarket. On one side, the large mahogany bar ran the full length of the room. Opposite the bar was a raised stage with a colorful set of drums, an electric keyboard and various musical instruments on stands. In the center of the room was an expansive oblong dance floor surrounded by split rail fencing with openings at each end, and what looked and smelled like fresh sawdust scattered about. Over-stuffed chairs in numerous groupings, along with high cocktail tables and bar stools provided ample and comfortable seating. “When’s the next one?” Billy asked. “Tomorrow night, but you better show up early because every newcomer dreaming of stardom will be here and ready to go. And the best thing is, the winner gets to be the opening act for the headliner for the month until the next open mic night. We open the mic at ten, but you better get here by eight to sign up. We only have time for ten acts before the regular house band starts. I hope to see you tomorrow,” Jean added, as someone down the bar called her name. Jules and Billy sat at the bar enjoying small talk for an hour or so, getting to know one another at a leisurely pace. Jean came and went as business dictated, but always came right back and joined the conversation. Finally, after all the business seemed to be addressed, Jean landed on the bar stool next to Billy. “So what’s the hot topic you two seem to be so involved in?” Jean asked. “Uh, no sir,” he replied. “Uh, not at the moment, ma’am,” he said with a grin. The three of them enjoyed the rest of the evening and around midnight began to say their goodbyes. Jules asked Billy if he wouldn’t mind taking the pick up back to the ranch and checking on the little filly, so he could go home with Jean. She would drop him off in the morning on her way in to town. Billy agreed and drove back at a leisurely pace, taking a mental recap of all that had happened to him since he left New Orleans. He eventually made it back to the ranch, and after checking on the mare and filly, hopped back into his truck and headed back to his motel room for the last time. When he got there, he stripped down to his shorts, brushed his teeth and climbed into his bed. For a long while he laid there and anticipated the next day and night. Click on the bookcover to find out how to purchase Final Encore. We’ll also be having a drawing at midnight tonight – free signed paperback, or ebook or, for Atlanta people, 2 free tickets to RENT, beginning December 3rd at Atlanta’s hottest new entertainment venue – Fabrefaction Theatre! This looks really good. I can’t wait to read it. looks good – good luck! My you guys are up late! Thanks so much for stopping in. Wonderful info. I have bookmarked this site.